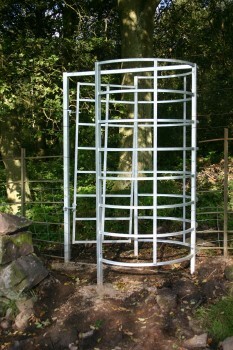 Galvanised steel hoops, H-Frame, strengthening bar, gate with self closing gate system. Circular hoops give easy access for pedestrians. H-Frame and strengthening bar provide rigidity and ease of installation. 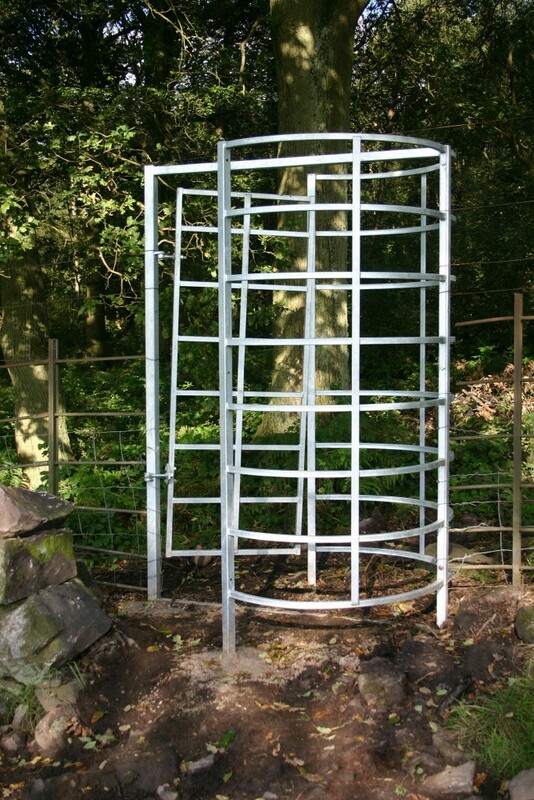 Height and appearance make it suitable for both forestry and parkland situations.